Good things come in little packages! Dahon makes folding bikes that fit into your life - literally anywhere and everywhere. Don't let lack of space or access stop you from riding. Whether it's for traveling, at the office or in the condo - a Dahon will fit. Dahon has urban/commuter bikes, road bikes and even mountain bikes - not only a bike for everywhere but everyone! With over 25 years of experience in making folding bikes, Dahon has a proven record of bringing the best in folding bike technology to the market. There is no better way to get around than riding, cost and carbon free, on a fixed gear bike. The name says it all: cycling at its purest. Quality-built fixed gear bikes. 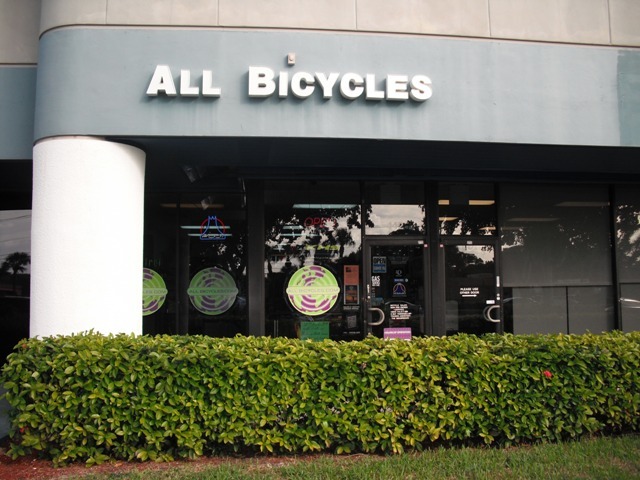 Pure Cycles offer simplicity and efficiency. That means no frills, no hassles - a bike that is as easy to use as it is affordable. An attractive price doesn’t mean a compromise in aesthetics though. Pure bicycles come in a variety of attractive color schemes: from classic to avant-garde to shocking! Their selection is always changing so there is always something new. Come down to the shop, visit Rich, and see! Handmade Italian Steel frames. High performance bikes, frames, parts and accessories at a great price. Born in SoCal and inspired by the beach life, a Tuesday is the bike you want to ride all-day, everyday. Tuesday Cycles makes quality bicycles for the lovers, the dreamers and really rad people. True to its SoCal roots, the Tuesday lineup is full of bright and boldly colored cruiser and pavement bikes designed for a carefree and laid-back ride whether you’re headed down the strand to the beach, or across town to your local coffee shop. Whether for road, mountain or hybrid, Fuji bikes provide some of the best value in cycling today. As ridden by shop owner Rich Cohen!!! Zinn specialized in building bikes to fit taller riders. High quality finish and workmanship. Sun Bicycles is your bike for fun. Featuring some of the funkiest beach cruisers and retro rides in the industry. Also featuring recumbants, adult trikes, and hybrids.